 Here at Event Genius we are delighted to have been nominated for an award at TheTicketingBusiness Awards 2018. Taking our place on a five party strong shortlist for the Product Innovation Award, we’re hoping that our Cashless Event Solution will take the crown ahead of other superb breakthrough products from Israel, Belgium and USA. The Product Innovation Award is bestowed each year for a “product or survey that has uniquely transformed and improved the way ticketing entities do business”, and we believe our Cashless Event Solution definitely fits the bill. Speeding up queues for entry, drinks and food at festivals and large-scale events, our RFID systems have made the festival experience quicker and easier for customers, and offered organisers increased profits as a result. Used by the likes of MiNT Festival, El Dorado Festival and Detonate Festival in 2017, the Event Genius cashless technology has already proven a roaring success, and we expect it to be even more prominent on the events circuit this year. The winner of the award will be decided by a panel of judges and announced on the 17th April at the Gala Awards evening at Emirates Old Trafford in Manchester.